Christmas is a time for tradition, but your season’s greeting still needs to stand out from this year's stacks of cards. This robust image of a deep red Christmas tree ornament against a holly-green field is the perfect answer—it catches your viewer's eye, but it bears an unmistakably traditional message. 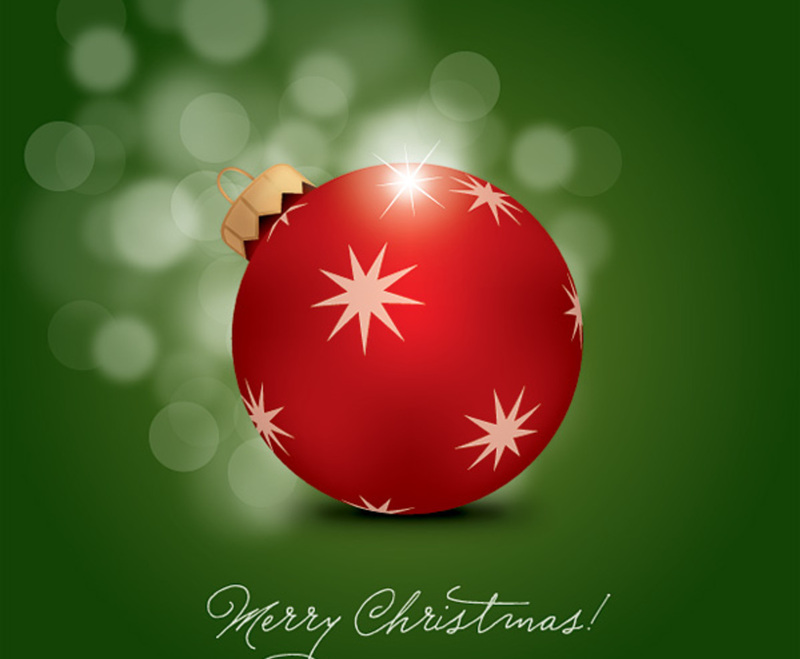 The ornament fills the center of the green square, positioned above a cursive, white script wishing the recipient a merry Christmas. White stars attract attention to the ornament, while a lens flair effect adds a subtle glimmer to the background. This graphic strikes a terrific balance between nostalgia and innovation.